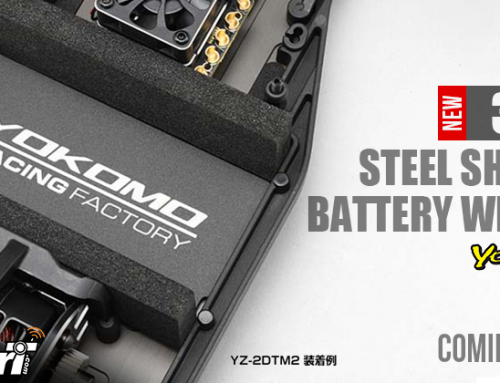 Xray announced that the short 2-pad slipper clutch set for XB2 is coming soon. Redesigned slipper clutch set allows the rear shock absorbers to be mounted frontwards. Frontward mounting position increases stability on surfaces where the rear of the car collapses, particularly in high-speed corners. Team drivers also prefer this position on low-grip tracks. Power from the motor is transferred to the drivetrain via an externally-adjustable central slipper clutch for quick & easy tuning. The 2-pad slipper clutch ensures super-smooth clutch operation and efficient, consistent braking. It is very easy to make ultra-fine adjustments to the slipper clutch externally. The slipper clutch pads are made from ultra-efficient SLS material with very-high slip efficiency, thus allowing very precise slip adjustment. The lightweight slipper plates are machined from premium Swiss 7075 T6, additionally hardened before a final black surface treatment. The plates have a machined relief which decreases the friction surface to assist with clutch slip adjustment. With this plate design, the pressure is focused on the circumference of the clutch pads for increased efficiency.